Beautifully Decorated 3 Bedroom 3 Bath Condo Located on the Ocean Block of 140th St with Very Nice Ocean Views * Granite, Stainless Steel Appliances * Fully Equipped Kitchen * Central A/C * Washer/Dryer * Steps to the Beach * Penthouse Balcony * Indoor Pool and Fitness Center * 2 Car Parking * Enjoy the Sunsets in the Evening and Sunrise in the Morning * A Spectacular Condo... Clean, Beautifully Decorated, Fully Equipped, Convenient and Ready for You! During prime season we rent only for the full week... however, if a property does not rent for the full week we will consider accepting a partial week rental but only at the last minute. Last minute is defined as a 3-4 days prior to the date you are requesting. 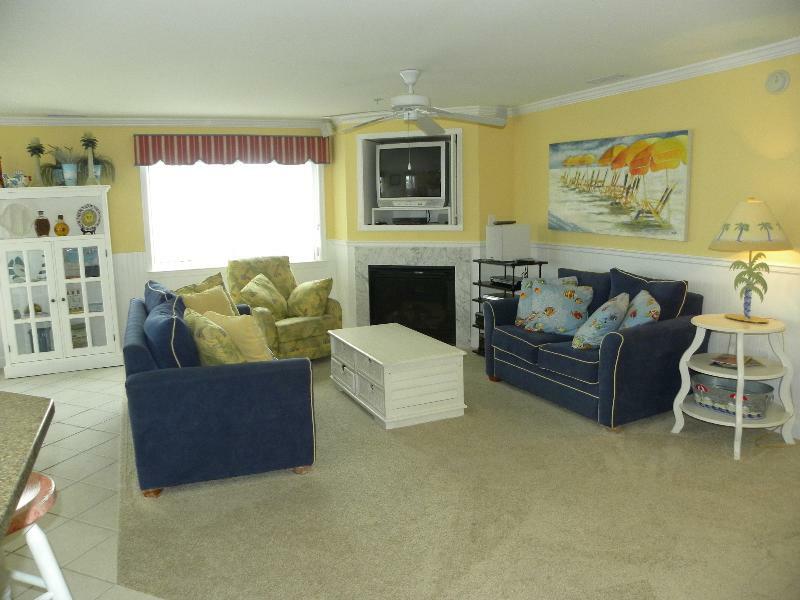 Walk to Beach, shops, mini golf, restaurants, bus line, and so much more! Please feel free to ask about anything in Ocean City you are interested in. Ocean City has a bus which runs 24 hours a day 7 days a week during the summer months with bus stops located on every other block. Driving to the boardwalk and other attractions is an easy means of transportation. From Rte 50 East, Exit Rte 90 East, Left onto Coastal Hwy, Right 140th St. Avalon is located on the corner of Coastal Hwy and 140th St. My office is located on the corner of 126th Street and Coastal Hwy. Please let me know how I can make your stay a more enjoyable one. If you are not familiar with Ocean City and our fine restaurants, amusement parks, nightlife...ask any of us and we will gladly share our favorites and help guide you in the right direction. I stayed at this place with 9 of my friends and we had an amazing time. The house is spacious, clean and so close to everything. It has a huge porch (and another one off of the master bedroom) and it is less than a 10 minute walk to the beach. It has everything we were looking for and we had a great time! It is PLENTY of room for 10 people! The house even has games, beach chairs, a wii, and other fun stuff to do with a group. I hope to stay at this place every year! A group of us just got back from our vacation from OCMD! We absolutely loved this place it was the perfect amount of space (there was 6 of us total). The roof top deck was a HUGE bonus!!! Great view of the beach and within steps (did not have to cross the main street). Lots of dining options/shops nearby within easy walking distance. This place definitely made our vacation that much better!! I will definitely recommend this to all friends and family, and would absolutely stay here again! !